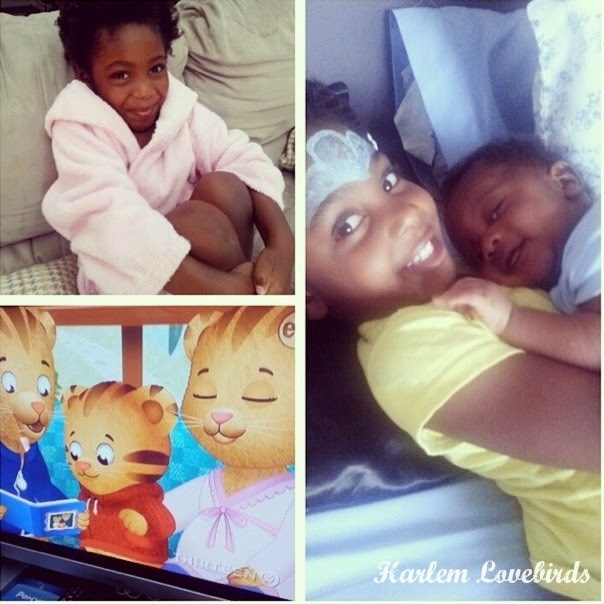 Harlem Lovebirds: Daniel Tiger's Neighborhood Toys Review & Flash Giveaway! 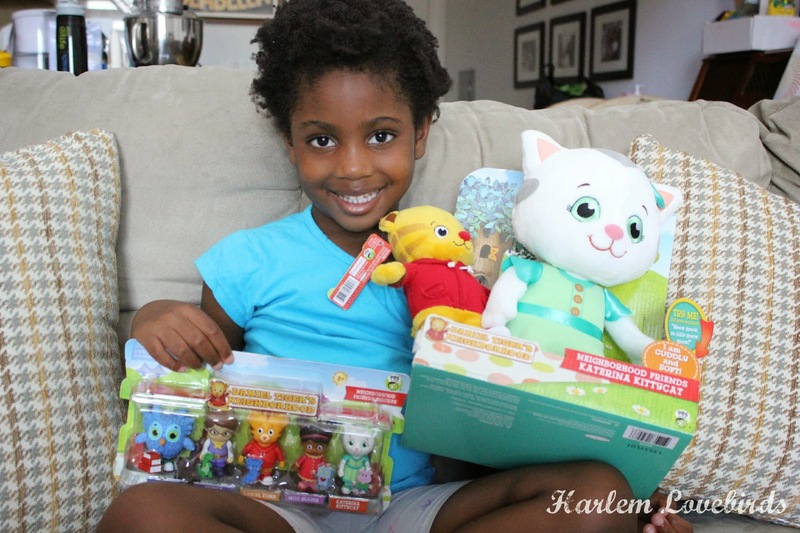 Daniel Tiger's Neighborhood Toys Review & Flash Giveaway! Disclosure: I was provided with JAKKS Pacific's Daniel Tiger toys to facilitate this review; all opinions expressed are my own. Yes, Daniel Tiger became a big brother! Once we started seeing the promos on PBS Kids a few weeks ago Nia kept exclaiming, "He's like me!" When she found out the special episodes were coming on starting the Monday following her birthday party it made it even more special. She beamed every time we'd see the preview! Fast forward to premiere day and that's the moment I captured above. She woke up excited like it was Christmas morning asking me if it it was indeed the day that Daniel Tiger would become a big brother, and I told her yes. Nia did her best to be patient and was bouncing around and laughing with anticipation! 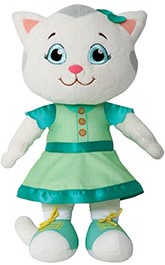 Nia's been having fun with her Katerina Kittycat Talking 12" Plush which says 12 phrases and sings (SRP $19.99, Ages 2+) - it also comes in Daniel Tiger! I've shared before Nia's love for Daniel Tiger's Neighborhood (you can see what happened when she met Daniel here), and I especially like the life's lessons it teaches her especially during the challenging toddler/preschool years. I even use some of the coping mechanisms myself (if I feel so mad that I want to roar, take a deep break and count to 4!). I also like the Mini Plush Daniel Tiger (SRP $7.99, Ages 2+) for taking on the road with us. Nia enjoys incorporating him into her pretend play - something she's into lately. Lastly - and here's the fun part - the 5 Piece Daniel Tiger Neighborhood Friends 2.5" Figure Set (SRP $12.99, Ages 3+) is one that gets the most play in our home. Nia has the Treehouse we gave her for Christmas which came with a set. She loves reinacting scenes from the shows with this set and I enjoy how she plays well on her own with it. I'm giving one lucky reader their own Figure Set for their little one! This is a flash giveaway just over the weekend so be quick - the winner's announced Monday, August 25 (U.S. residents only). 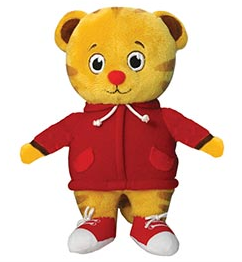 You can find these and other Daniel Tiger's Neighborhood toys as well as where to find them at JAKKS Pacific.